What a lovely post Katherine! 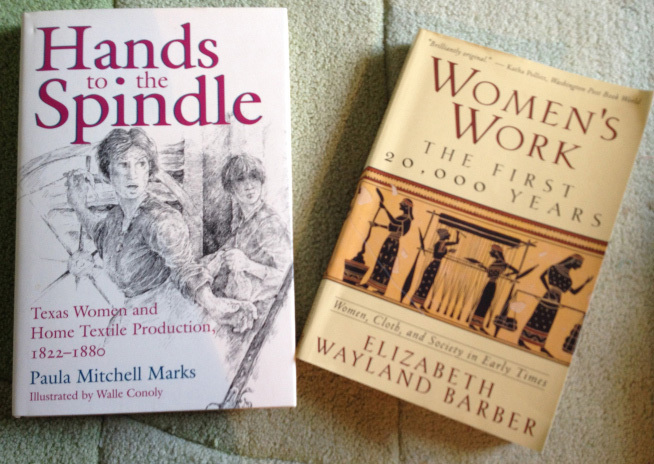 A window into your earlier life as well as historical parallels, and a sense of what an important and constant thread your making has been through your life. 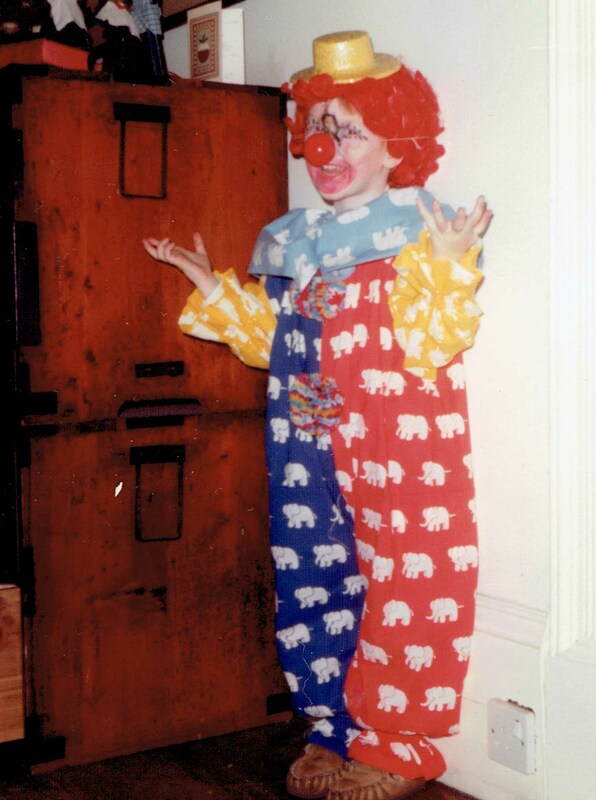 I specially liked the elephant clown costume, and James’s remark about the wool. So glad you liked the post, Polly! 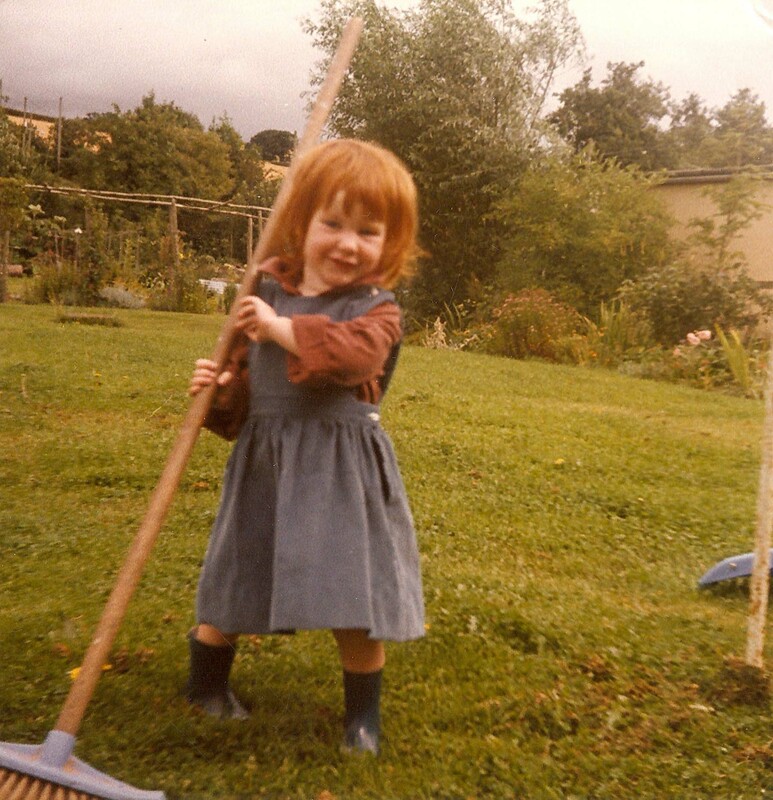 Curiously, I was a bit hesitant to mention my “impoverished” days……don’t really know why. 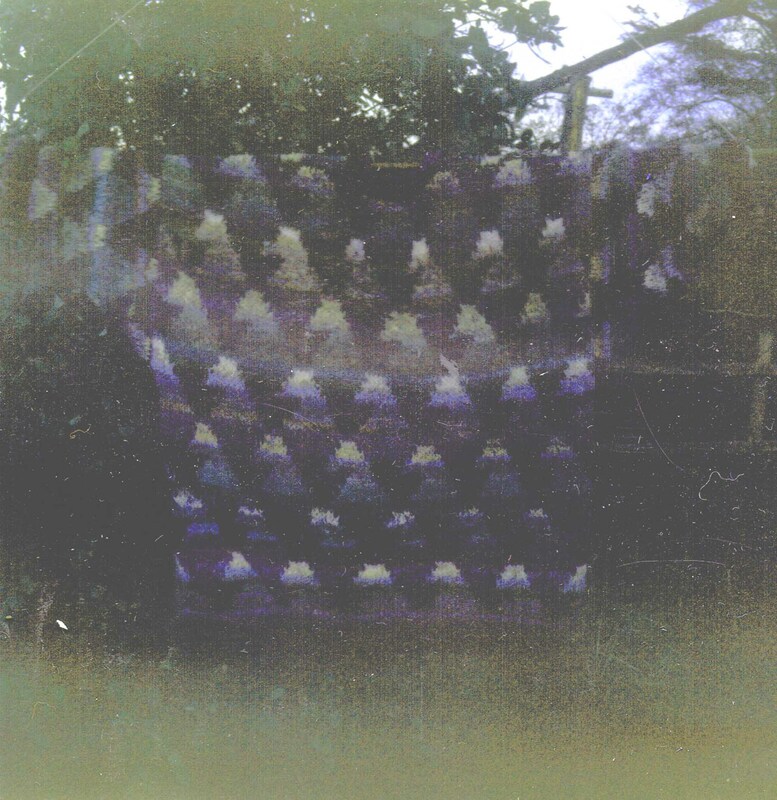 It certainly had a big influence on the things I’ve made. 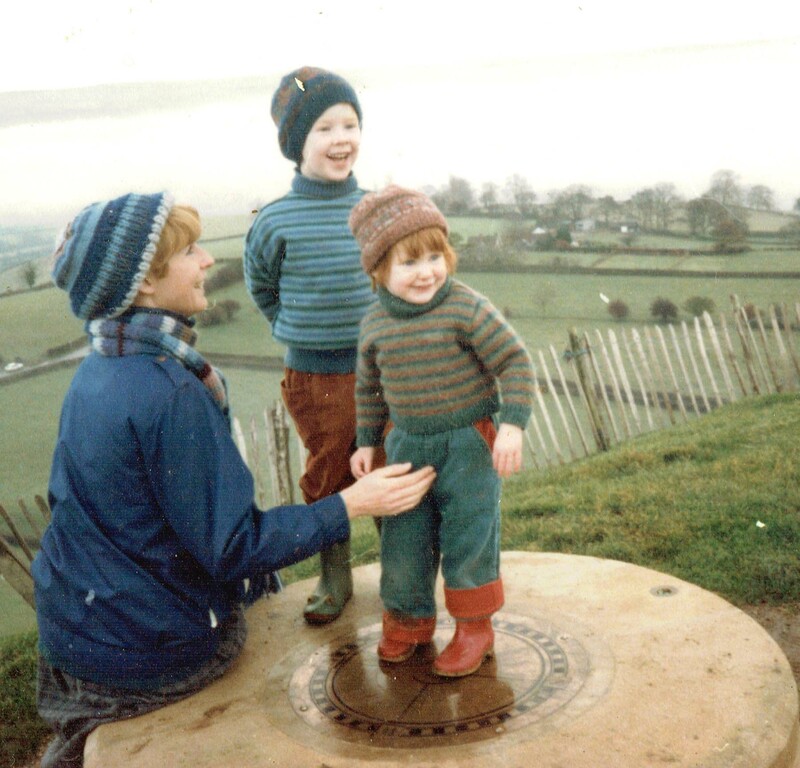 The picture of me with my children on Glastonbury Tor was taken by your mother – or father? They were very sweet and hospitable to me. Another cracker of a post. 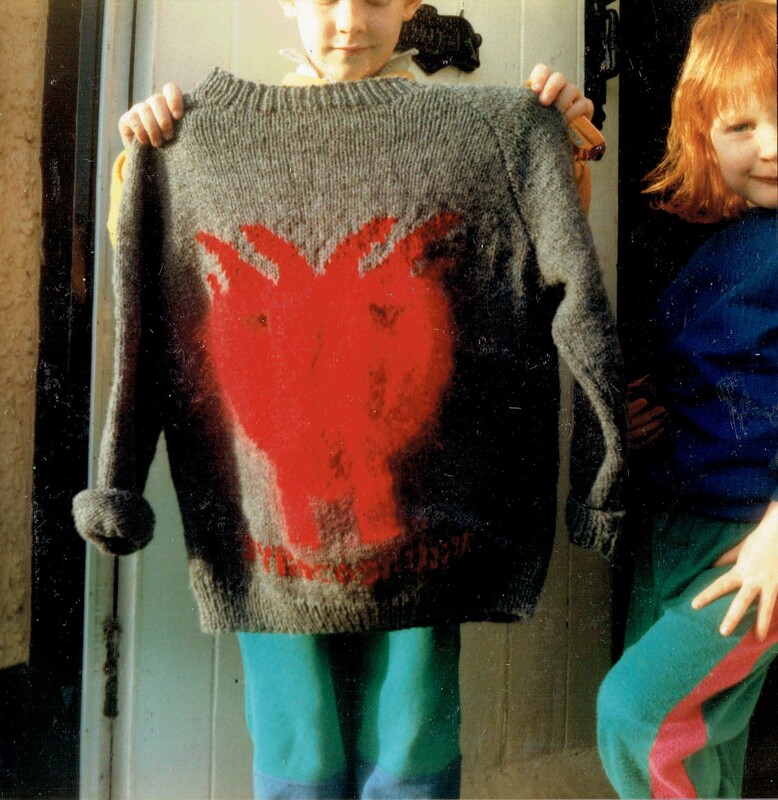 I too have a pic of my kids in hand knits on Glastonbury Tor! The interspersing of your recollections and those from the book are so thought provoking. The courage and creativity with which you faced a very challenging part of your life is just inspiring. Thank the gods (well…the people) for a government safety net because raising a family IS an economic contribution to the social good that should be supported. 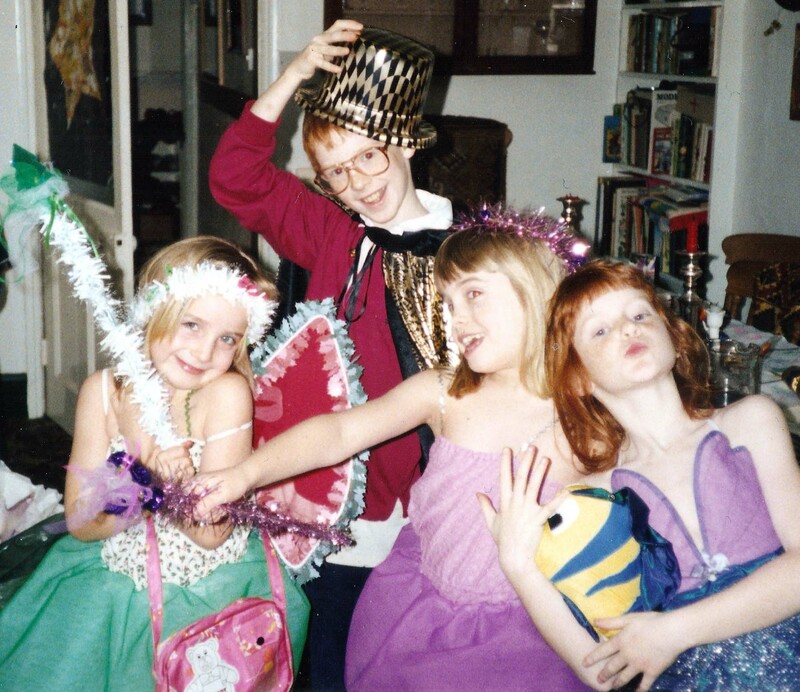 And the Kaffe pics…aww you took me back. I made one of his waistcoats in uni. I still have it but it looks like a box! 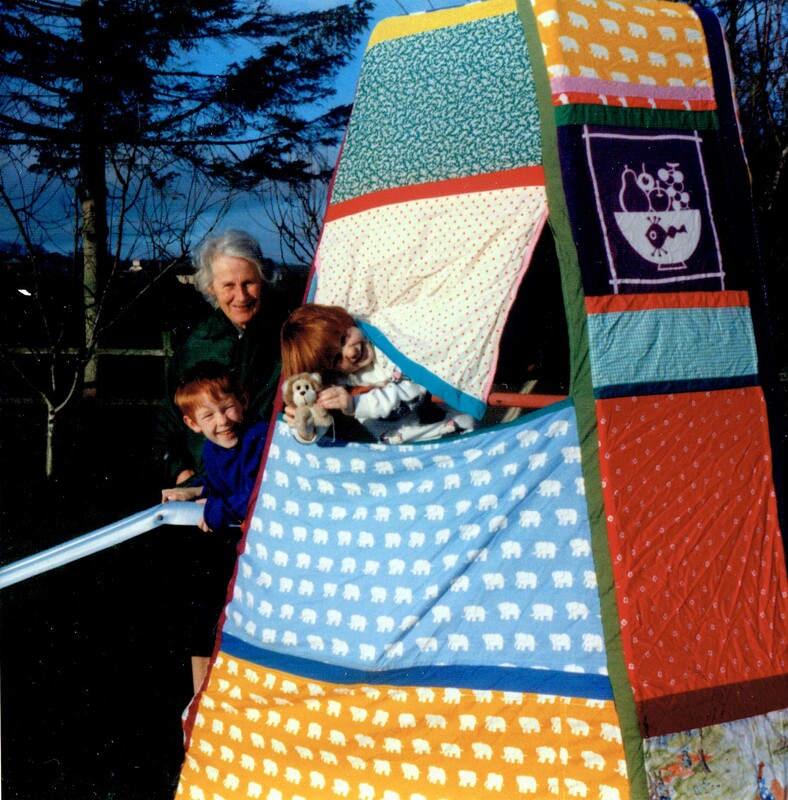 Glastonbury Tor is an amazing place – excellent to hear you have a pic of your children there, and in handknits too! Yes – I agree with you that governments should support parents in every way – I still feel a bit shy…embarrassed…awkward…hesitant…about talking about my particular experiences – but rationally I don’t think I should. Anyhow, my experiences are as nothing compared to Sarah Harkey Hall. 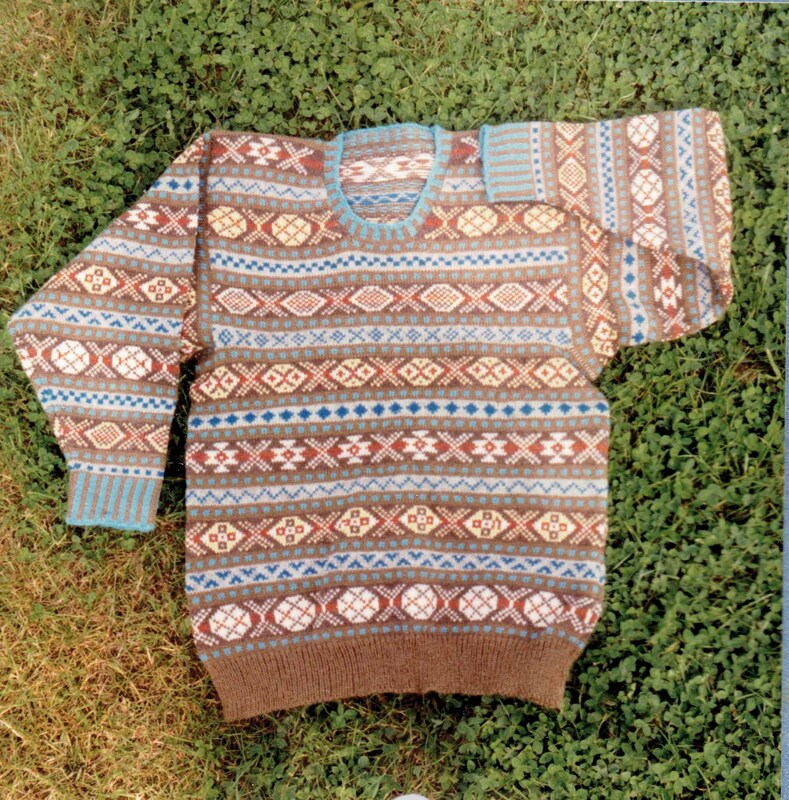 I chuckled to hear you too have old Kaffe Fassett knits no longer worn – fashion usually goes in circles, so if we keep them long enough perhaps they’ll be ultra cool again one day……?!!! 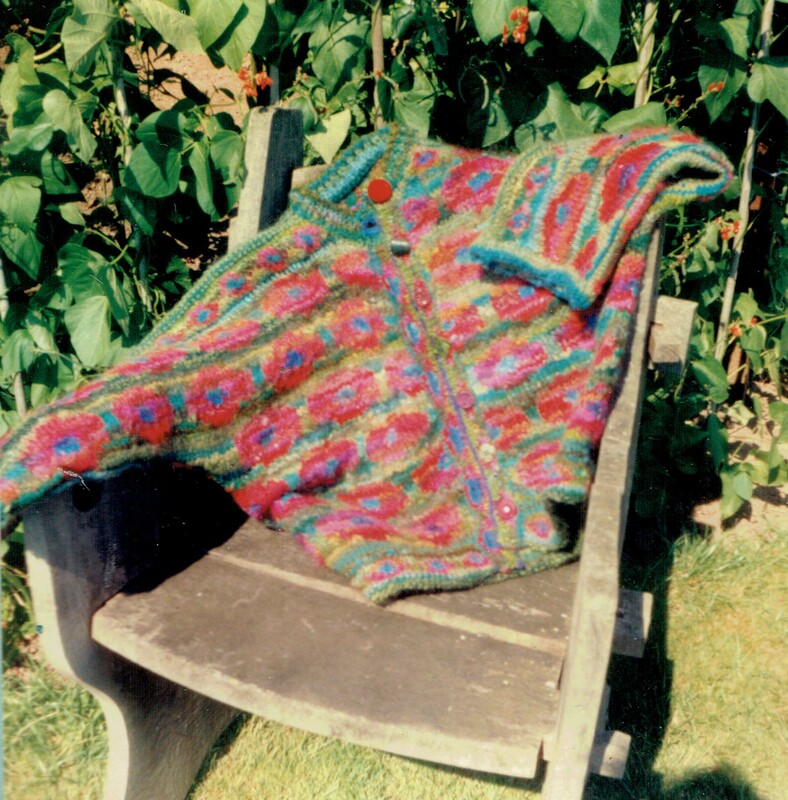 I most certainly do have the Kaffe Fassett cardigan! It is stored safely out of the way of moths and gets an occasional airing for summer evening parties, where it never fails to attract interest and compliments. It is one of my most treasured possessions. 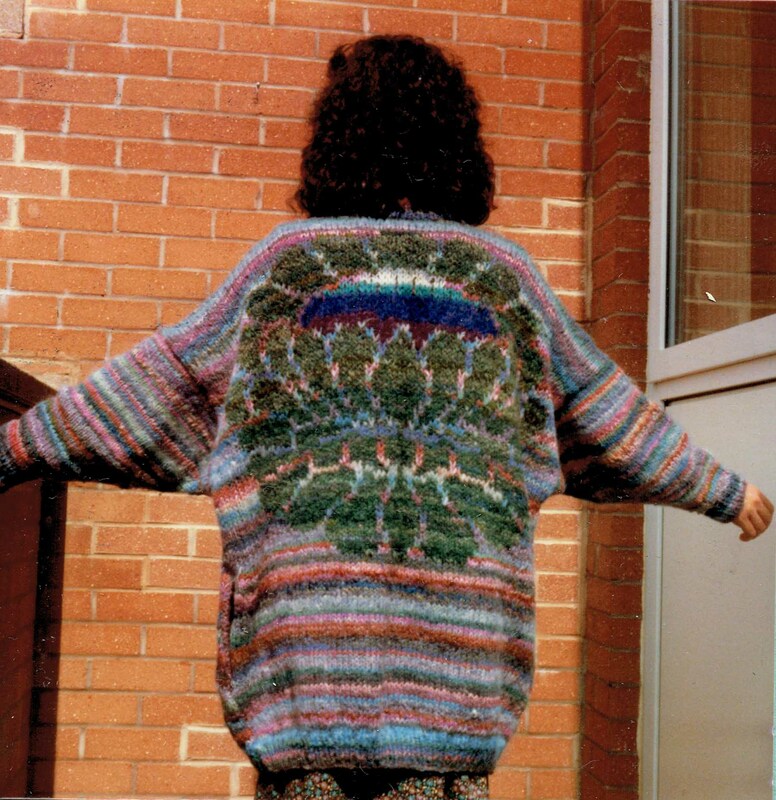 So touched to hear that you’ve still got it, Mandy – but Kaffe Fassett cardies are very “large”, aren’t they? Yes – good for chilly summer evenings perhaps in Devon, but you might need more warmth in Northumberland!! Lovely pics of James and Helen. 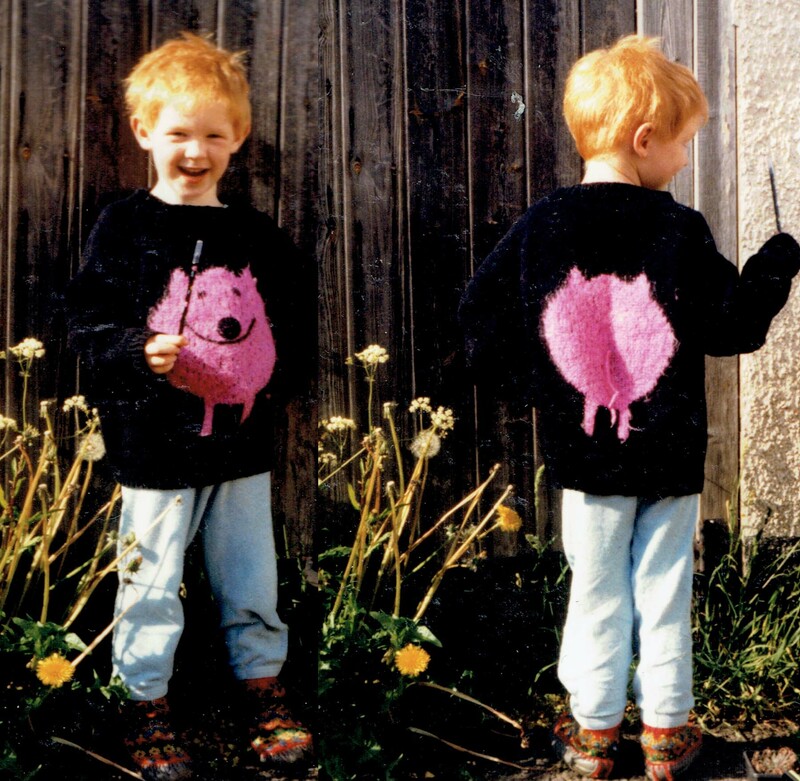 I do remember those clothes, and especially James’ hilarious drawings. Does he still do them, I wonder? 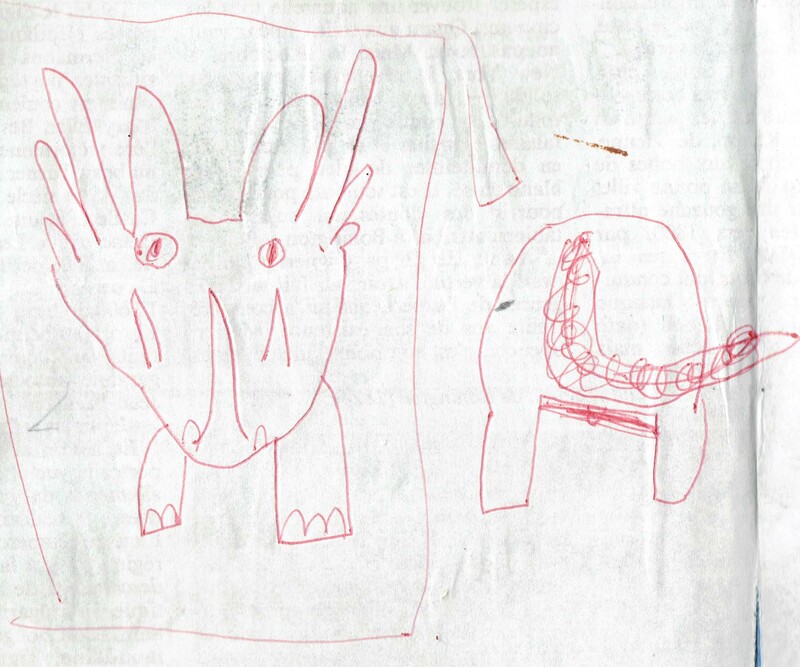 It was a real sentimental journey getting out these old pics of the children, and yes, he does still draw – I think he does a comic on tumblr. I’ve got scrapbooks with his pics in them – fun to look back on. The day I read your post there was no place to put a comment and I wondered if that was on purpose or not. I can understand your reluctance to ‘air’ your circumstances but I for one think you are the stronger for it!! Cheers!! Could you tell me how to make Kaffe Fassett’s poppies more wearable, not so bit, but still look great? How much ease do you recommend?